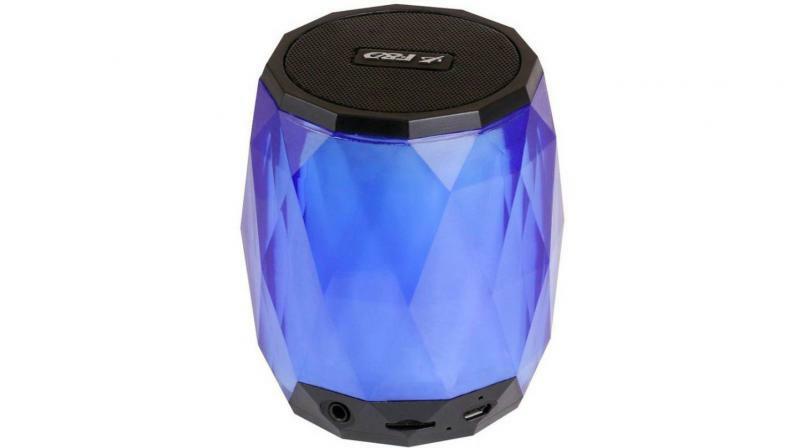 A small Bluetooth speaker that offers big sound with fancy multi-coloured LED lights. F&D has lights that create a cosy environment. 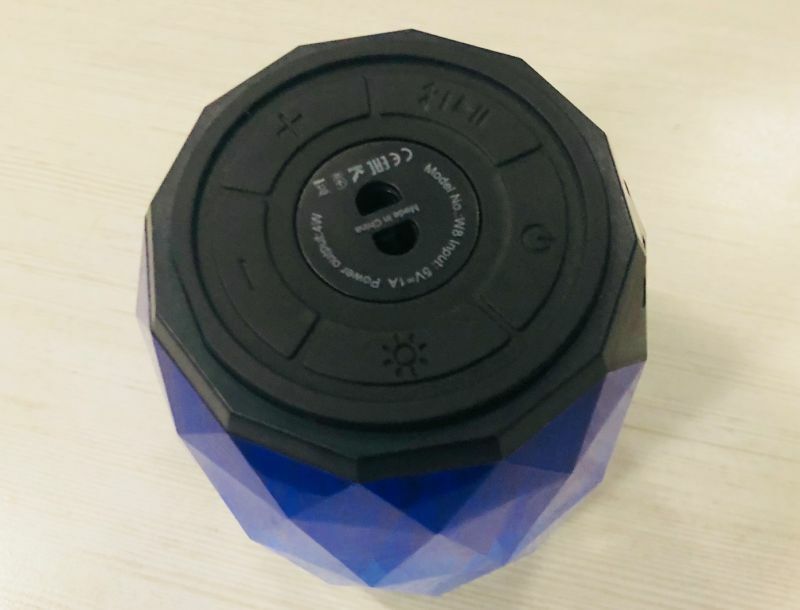 The portable Bluetooth speaker market is getting increasingly saturated with various brands constantly launching products that aim to differentiate themselves from the competition. With the price of Bluetooth products steadily declining, manufacturers are able to employ a vast range of features along with launching products that come with interesting designs, concepts, and features. 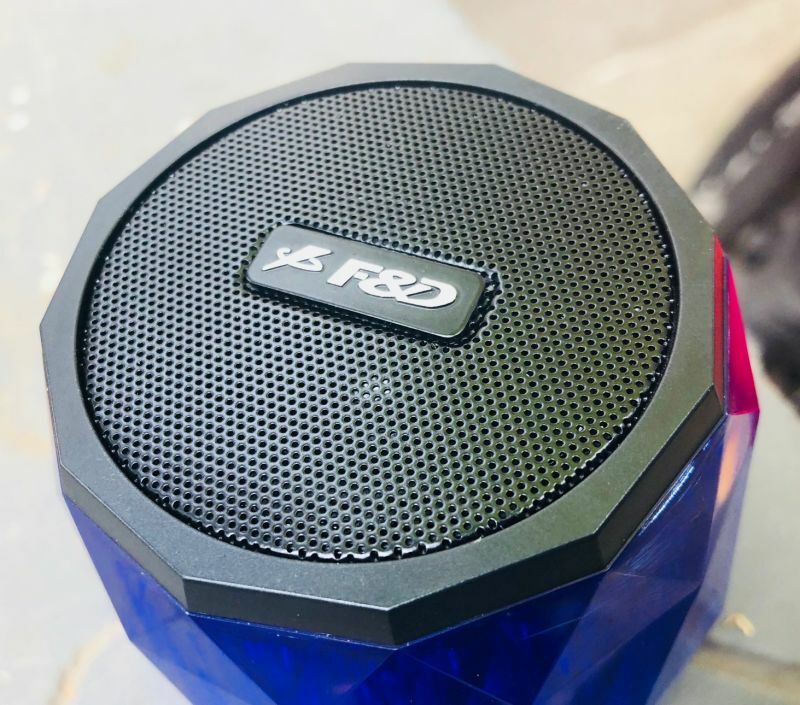 Popular audio manufacturer F&D (Fenda Audio) recently introduced the W8 speaker, a successor to the W7, that features RGB LED lights that put on a cosy audio-visual spectacle in a dark room. 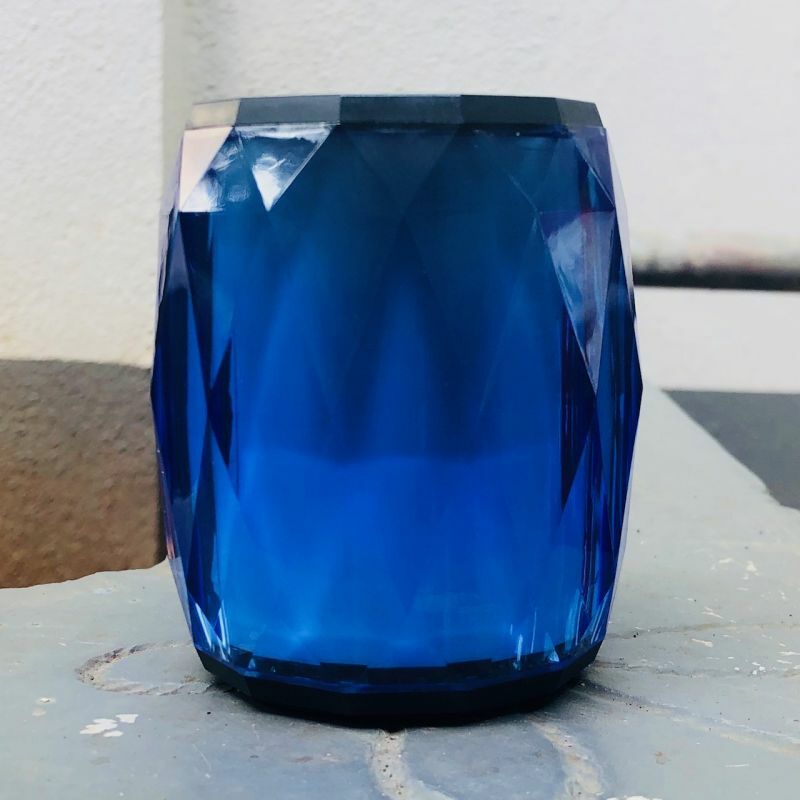 The W8 features a form-factor similar a small coffee mug (sans the handle) but has an unconventional polygon-shaped transparent exterior design built completely from plastic. This design is a nice touch, as apart from being a speaker it can also be used as a soothing LED night lamp. For those wondering, it has multi-color LED lights below it that has various modes and patterns — from dimming to alternating — so you won't be stuck with just a single hue. There's a single 2-inch full-range dynamic neodymium driver that is top facing and it helps in providing a 360-degree sound field and is protected by a metal grille. The sides are transparent to emit the light show, while the bottom sports all the buttons housed in a rubber base that also doubles up as a grip when placed on the table. 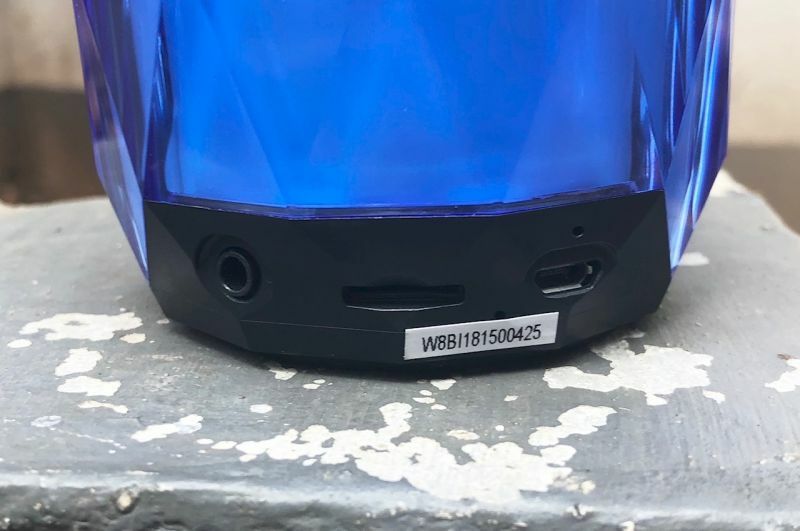 Apart from Bluetooth v4.2 and AUX connectivity, the speaker also supports a microSD card that allows MP3 playback, making this speaker a completely portable and standalone music system. The volume and functions of the device work in conjunction with the source. So, you don’t need to lift it up every time you want to change a track or adjust the volume, except when using it in MP3 mode. The bottom strangely features a place for a lanyard for added security when using it whilst on the road. However, if one was to attach a lanyard, placing it flat on a table would make the speaker instable. When using the lanyard, one can hang it and use it as a mood lamp. The F&D W8 is a 4W portable wireless speaker that betrays its size. However, being loud doesn’t translate to great audio. At volumes over 70 per cent the distortion set in and is very prominent. As for the audio, the bass seems to sound a bit boomy but is expected from a device this small. This takes away the entire audio experience as the other frequencies are drowned out. However, with the volume set to 50 per cent, which is sufficient for indoors, we get a warm audio experience that favours the mids and sub-bass. Highs are good as well but feel a bit uncontrolled at times. Again, at higher volumes, some sibilance is noticed. While the speaker is pretty loud, it is not meant for higher volumes. The speaker, along with it's LED show design, seems to be aimed towards those who enjoy low-volume music or need a small and simple bedroom audio unit. The speaker can also be used for casual get-togethers or used for camps, candle light dinners and similar occasions. The battery life here is pretty good and it is rated at 6 hours on a full charge. It also has a standby time of up to 60 hours. During our tests, we observed that at volumes below 50 per cent, it offered a continuous and extended playback of around 8 hours, which is pretty good for a speaker of this size. The F&D W8 is available for an MRP of Rs 2,490, but can also be availed online for an MSP of as cheap as Rs 1,399 (Snapdeal). Despite the distortions seen at higher volumes, we feel that this is a great device considering the price and its usage. 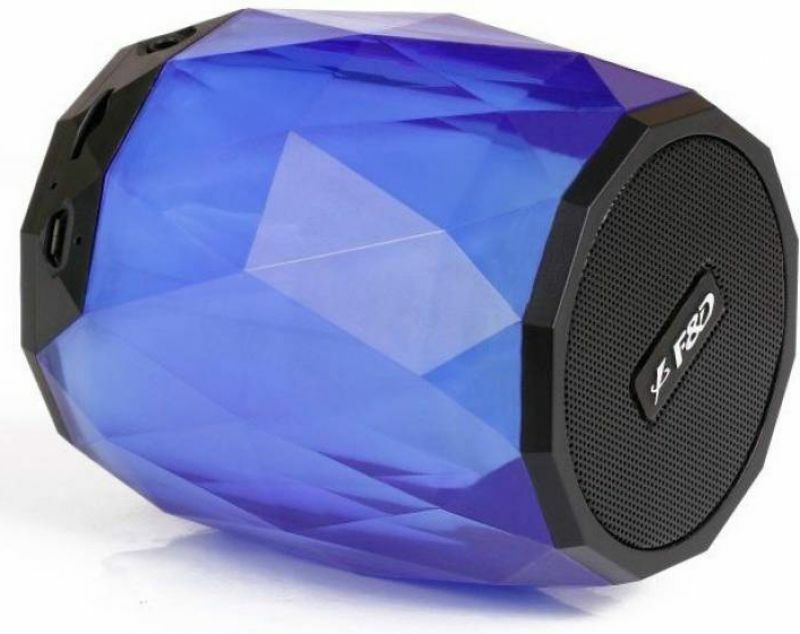 The speaker can be a great addition for small get-togethers, solo listening, bedroom mood light/audio or even while camping. The light show here is a nice touch and can complement a bedroom or a personal/private occasion. Alternatively, these speakers can also be used as great laptop/smartphone/tablet speakers which can help enhance the overall volume while enjoying some flicks.